Ultrasound Certification Programs - Which Are The Best Programs? When it comes to diagnostic medical sonography training, there are a variety of different ultrasound certification programs which can be obtained via traditional campus-based ultrasound technician schools or accredited online ultrasound tech schools using distance learning education. Let’s take a look at why these ultrasound courses are so important, and then focus on the types of ultrasound certification programs which you can choose from. Why Are Ultrasound Certification Programs Important? If you don’t hold certification from one of the accredited ultrasound certification programs, you’ll probably find it very difficult to get work – as most hospitals and clinics demand some form of ultrasound technology certification or formal sonography qualifications. What Ultrasound Certification Programs Are Available? Basic Ultrasound Certification. 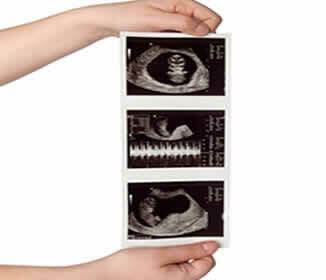 This is a foundation level qualification in ultrasonography that can be completed in 12 months. By passing these types of ultrasound certification programs, students will achieve an entry level qualification as an ultrasound technician. Although these one year certification programs are offered by accredited online ultrasound tech schools or traditional ultrasound colleges, they are not really recommended for those who intend pursuing a long term career as specialist ultrasound technicians. In the majority of cases, one year ultrasound certification programs are used by physicians and other medical professionals to familiarise themselves with the science of ultrasonography and become competent using ultrasound equipment. In fact, most one year ultrasound certification programs insist that students must already hold a degree in an allied health carel field before they can enrol on a 12 month course, so these types of certificate programs are not really suitable for those newly entering the profession. Associate’s Degree Programs. These are the most popular forms of ultrasound certification programs, and take place over a two year period. One of the reasons for the high popularity of associate’s degree level courses is that they are open to high school students, and can be completed in 24 months – which is half the time it takes to complete bachelor’s degree ultrasound certification programs. Bachelor’s Degrees. If you are looking to have a long term career as an ultrasound technician, your best career pathway is to consider taking a bachelor’s degree. This is a four year training program which is open to high school students. Bachelor’s degrees in ultrasonography are highly sought after by employers, so you will invariably enjoy better job opportunities and a higher ultrasound salary if you are qualified to bachelor’s degree level. Indeed, many of the more established hospitals and diagnostic clinics insist that their ultrasound technicians hold bachelor’s degrees, as this provides confirmation that the technician has gained all the skills, techniques and experience necessary to become a competent and effective sonographer. What Happens After Ultrasound Certification? Accreditation is quite important. Once you have qualified from one of the accredited ultrasound certification programs, it’s wise to apply for membership of one of the recognized ultrasound regulatory bodies. In the UK, one of the key ultrasound organisations you should join is the British Medical Ultrasound Society (BMUS). If you are unsure which the most appropriate ultrasound training course is for you, it’s always a good idea to contact a few ultrasound schools to get advice on which ultrasound certification programs are most suitable.